We value and appreciate ALL our supporters – especially at special times of the year! Thanksgiving is one of those special times and the Food Closet was able, as in years past, to provide an extra box of traditional Thanksgiving fare courtesy of the Tabb YMCA. 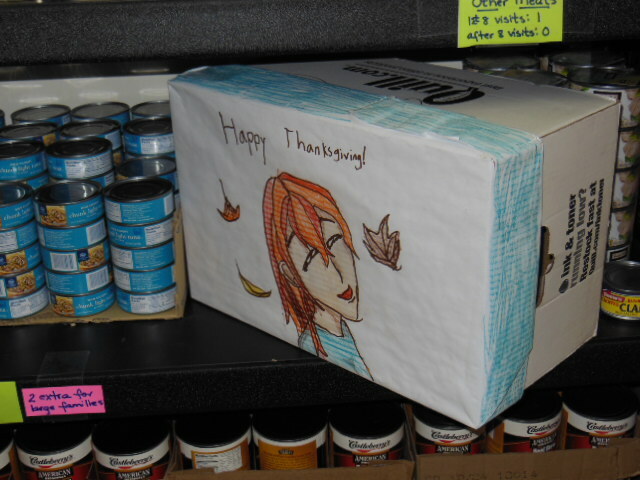 Boxes were decorated (quite beautifully) by the youth at the YMCA and included stuffing, gravy, yams, pumpkin, cranberry and a few other extra items to help ensure a special meal. Many other organizations and schools also provided extra help including an additional $1,000 donation from the York County Volunteer Association (Bargain Box) and 1,135 items from a Food Drive at Seaford Elementary School.